Are you ready for a THROWBACK to the greatest decade? Time to get STUCK IN THE 90’s! 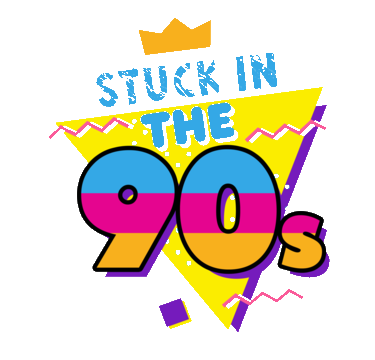 Stuck in the 90's plays all of your favorite hits from the 90's! 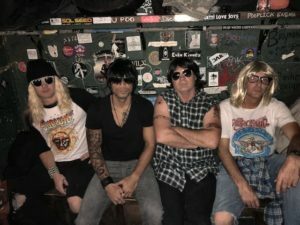 Not just your average 90's cover band but a tribute to the 90's! Sit90's was formed in 2017 to pay tribute to the last golden decade. This all star line up band covers all styles of the 90's from alternative rock, grunge, pop, punk, rock, hip hop, dance, metal and boy bands. Do you want to throw the ultimate 90's night at your Venue, Private Party, College, Frat or Corporate event? Then look no further as Sit90's will ensure your guests PARTY ON! Contact the band to perform at your club or venue. The band will travel across all 50 states as well as internationally. SIT 90's has a marketing budget to promote events through various channels to ensure a packed house. Want to hire the band to put on a special themed Private party? The band can cover the whole decade or focus on certain styles! 90's theme parties have been a huge hit at corporate events. The music, the dancing the stage show it's all 90's night all night long. Book the band for your next 90's themed event! The band can provide professional sound and lighting as well as a DJ before, in between and after sets.